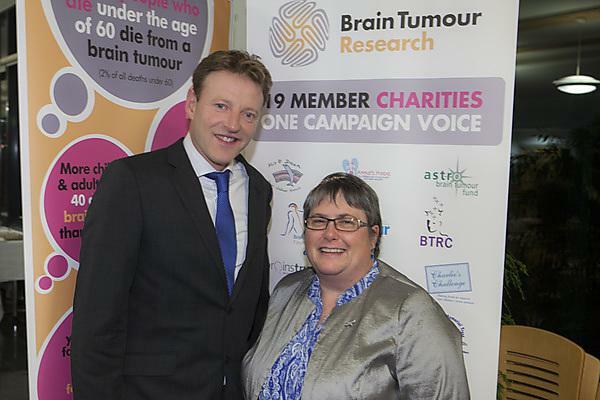 Former nurse Heather Taylor-Nicholson from Penzance has welcomed a pioneering new research centre which will bring hope to thousands who, like her, are living with the terrifying uncertainty of a benign brain tumour. The 54-year-old, whose inoperable tumour was diagnosed four years ago, toured the laboratories at Plymouth University Peninsula Schools of Medicine and Dentistry where groundbreaking work is taking place. She also met the scientists dedicated to improving outcomes for patients and, ultimately, finding a cure. Around 4,300 people are diagnosed with a low-grade brain tumour in the UK each year. Generally referred to as benign, these types of brain tumour, which includes meningioma, ependymoma and acoustic neuroma, are graded 1 or 2 on a scale of 4. The lower grade tumours are non-cancerous whereas grades 3 and 4 are cancerous, faster growing and often more immediately life-threatening. Slower-growing tumours are not immediately cancerous, but they can be just as devastating and bring equally dangerous and debilitating effects to patients and their families. They can cause neurological conditions including loss of balance, weakness, memory loss, poor hearing, epilepsy, and personality changes. For many, having a low-grade tumour is like living with a time bomb, wondering when it might suddenly grow more rapidly, become cancerous and spread to other parts of the brain or when the tumour may return after treatment. Sometimes low-grade tumours are located within an inoperable area of the brain. The new Centre of Excellence sits within Plymouth University Schools of Dentistry and Medicine and is led by Professor Oliver Hanemann. Already holding a reputation as a leading facility in Europe looking at low-grade brain tumours, the team will be able to further advance to translational research – taking research from the laboratory bench to drug testing and clinical trials. This will include exploring potential for the repurposing of existing drugs to ‘fast-track’ potential treatments, instead of waiting for new drugs to be developed, tested and trialled and passed for patient use – a process that can take a decade or longer.